My folks came to visit this past weekend and so while S and W were at a mountain bike race E went out mushrooming with my mom (he has become such a mushroom lover since first finding these Shaggy Manes) and I went hiking with my Dad on the High Rim Trail. 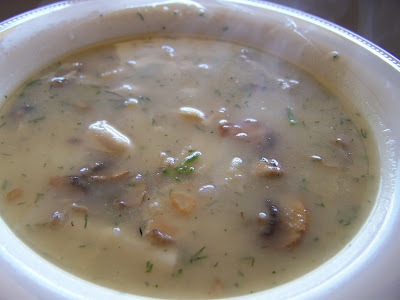 When we got back from our hike E and my mom had a basket of Shaggy Manes so I decided to make some soup while Evan fried some in butter so that my parents could try them. I chopped some potatoes into little cubes and simmered them in broth until they were soft. Then I melted some butter in a pan and added some milk and water to make a bit of a roux. (Although I sometimes skip this step and just let the potatoes add the creaminess). I added the potatoes (mashed just a bit but still with some cubes left) and broth to the roux, added the rest of the mushrooms that E had fried in the butter and let it cook for a few minutes. Then I turned it off and added some chopped fresh dill and salt and pepper. They had picked a few that were too far gone to use (not inky yet but getting there) and so I threw these into a garden bed with some horse manure in the hopes that we will have our own patch of Shaggy Manes right in our garden this Autumn. Sounds like a wonderful weekend with your parents, how great that they can still enjoy hikes and foraging with their grand kids!! Hope you have a great Father's Day...we're off to canoe and pic-nic for ours! Oh gosh, that looks so yummy. 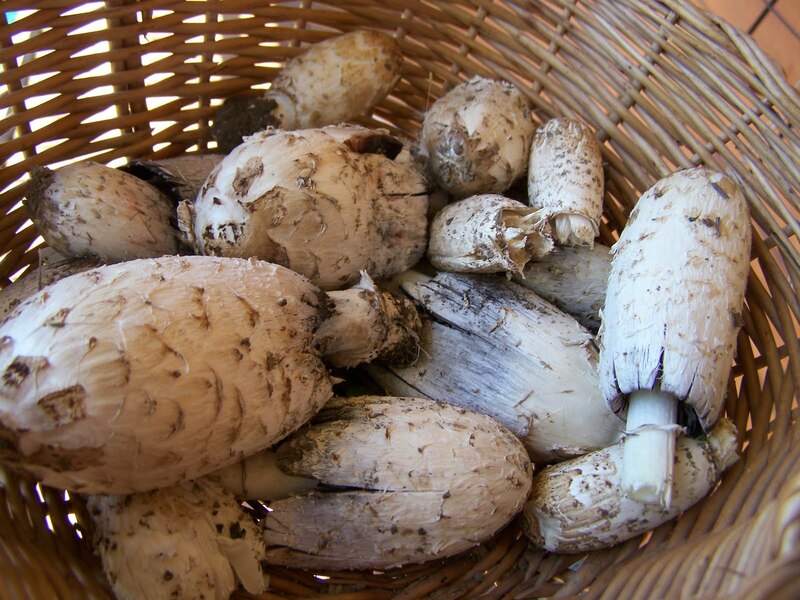 We like to eat mushrooms but I know absolutely nothing about foraging for or growing them. I need to learn. It looks great! Mine always looks greyer than that. I suppose I need to be pickier about just using the newest shrooms.